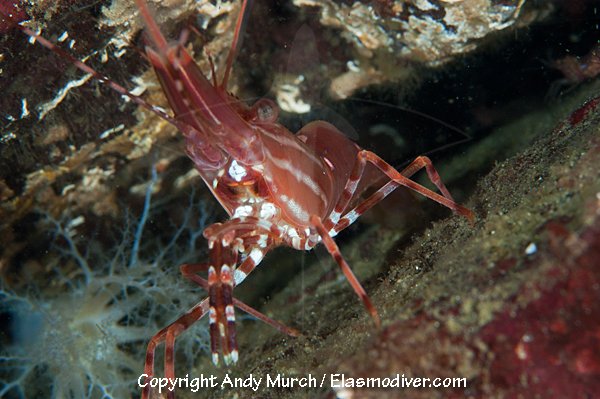 COMMON NAMES: Pacific prawn, spot prawn, Pacific shrimp, two-spot prawn. DESCRIPTION: Carapace plain pink/orange with white horizontal stripes. Abdomen pink/orange with two pairs of bold white dots. Juveniles sometimes green. RANGE: Northern Alaska to Southern California. 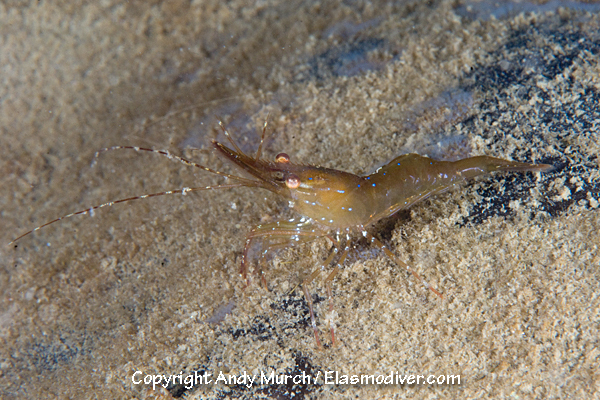 All of the shrimp images on elasmodiver.com are copyright protected. 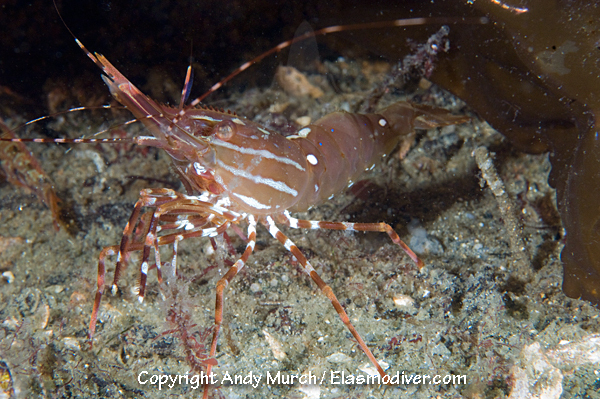 No unauthorized use of these Pacific Prawn pictures is permitted. Please contact Elasmodiver for further information. 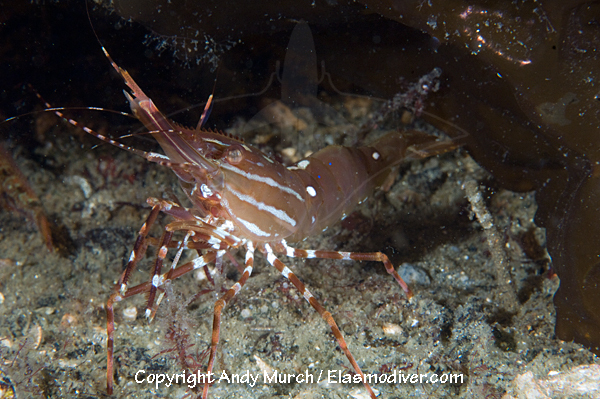 Pictures of shrimps, prawns and other shrimp-like arthropods. 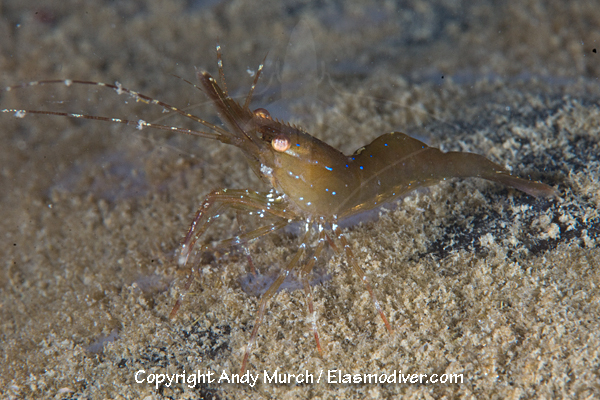 - commercial images of shrimps and prawns from around the world.